Minutes are legal records that document actions and approve business decisions made by the principals of the business throughout the year. It is vital that all Corporations document a separation between the owners and their companies, particularly in cases where the shareholders are directors themselves, or where they have close relationships to the corporate directors. State law requires Corporations to prepare Annual Minutes of the Shareholders. Additionally, Board of Directors Minutes are necessary to document actions taken on behalf of the Corporation throughout the year. Without current and complete Minutes, the shareholders, officers and/or directors could be held personally liable for the actions of the Corporation. Even worse, the legal protection could be in jeopardy if a creditor successfully pierces the corporate veil due to the Corporation’s failure to keep complete Minutes. Your corporate protection may be in jeopardy if a creditor successfully sues you and pierces the corporate veil due to the failure of keeping complete Minutes. 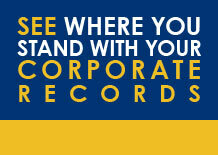 As a member of the Corporate Veil Protection Service, we are here to help.